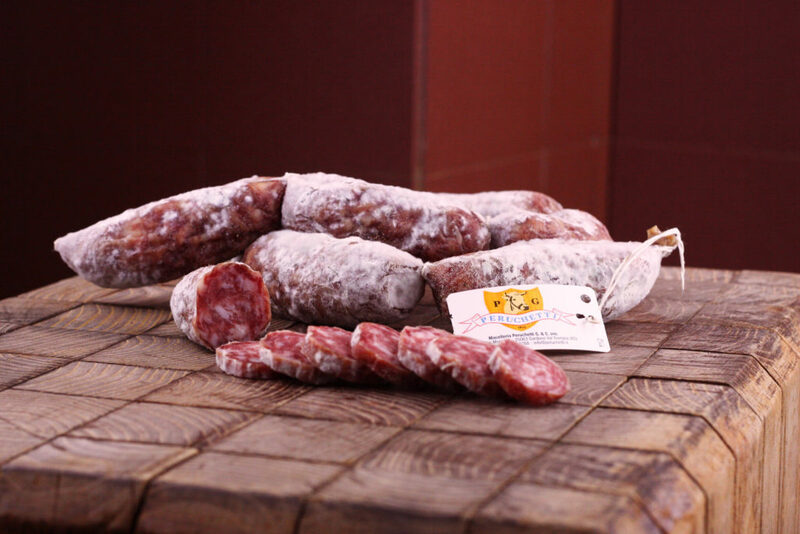 This particular salami has this name because, in the past, it was the favorite food of hunters, thanks to its small size allowing an easy carriage inside the haversack. Compared to the past, this salami is much less fat and salty with less cholesterol, more protein and a much more balanced taste that made it completely different. Its size has remained small, around 200/250 grams, and this allows a faster aging. The color is a typical ruby and the taste is sweet with a particular delicacy that makes it perfect for an aperitif or an appetizer. Its perfect pairing is with a young or fruity white or red wine, but also with a beer or Franciacorta sparkling wines that mitigate its natural flavor.